Way back when, it was normal for drivers and passengers both to sit on a single saddle or a seat pad. 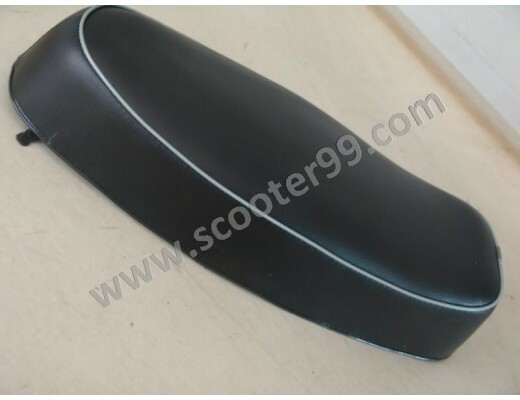 Seat benches were used first with the 150 GS and later model series or were only available as accessories from PIAGGIO. Single saddles offer the typical 50's and 60's optic, and look really good on newer models. The higher seat position and relaxing spring coil movement are unusual at the beginning, but you soon won't want to sit on anything else. 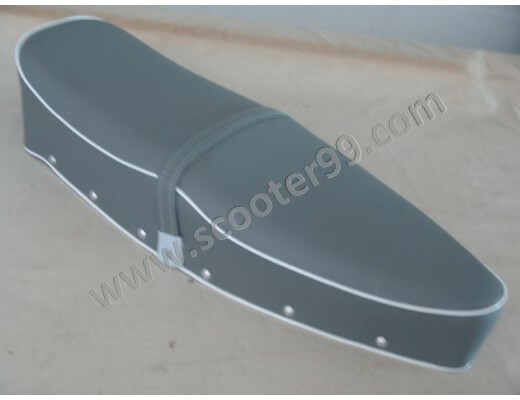 We recommend using a combination of suitable seat cover colors compatible to your paint job. 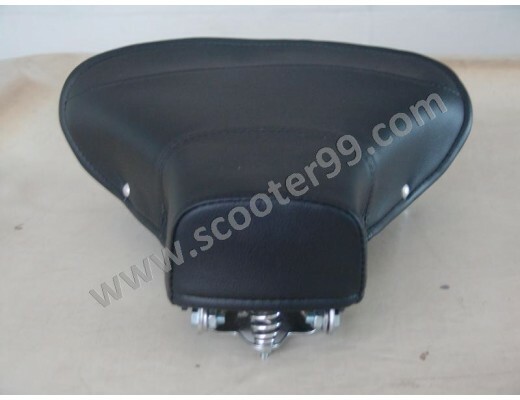 Rear single saddles were never built into series models, though they offer a good alternative to seat pads. The single saddles of the wideframe models are affixed to two central points of the rear luggage rack. Up to the VL1 models, the saddles had two exterior pyramids or ellipsoidal springs. 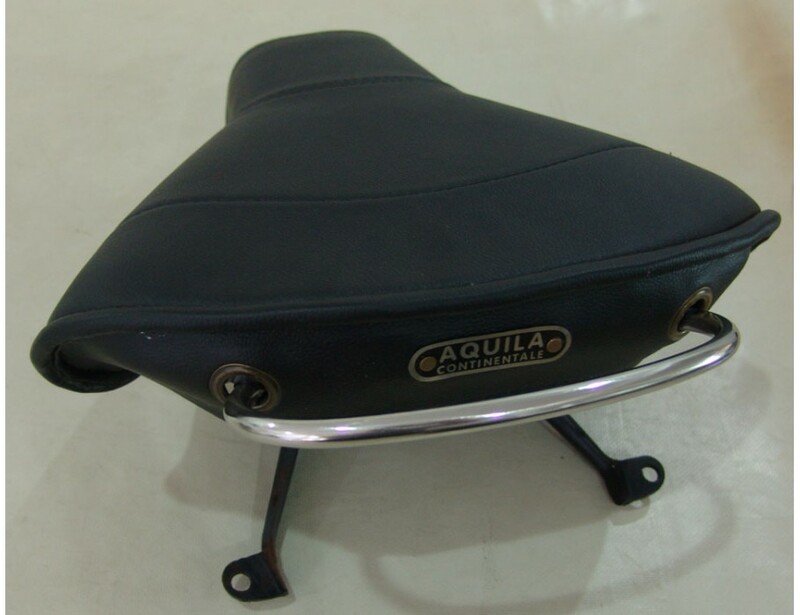 In order to improve the sitting comfort, a saddle with an adjustable central spring was used for the first time from the 150 VL/VB/ACMA/GL150 models onwards. The choke cable is operated via a lever on the seat frame for all models. The swing saddles for wide frame models are only available from us in TOP quality. 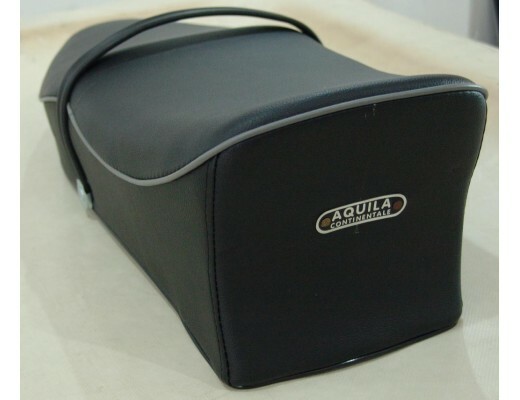 View AlbumSingle Saddle front, black,for Vespa 98,4 rivetPrice: $400.83..
Seat for Vespa 150 GS VS5,Black,with light grey welt, w/o lock,with belt,emblem: AquilaMost VESPA sc..
View Albumblack,with dark grey welt, w/o lock,w/o belt,emblem: A.REJNAMost VESPA scooters have been ..
View AlbumSeat For Vespa GS 160Price: $272.71..
View AlbumWay back when, it was normal for drivers and passengers both to sit on a single saddle or ..